News alert: The Douglas County Library is back in the news. After signing an agreement this year with CIPA to acquire members’ books in epub format, director Jamie LaRue has gone on to sign more alliances with other publishers, including the Independent Publishers Group, Marshall Cavendish Corporation, Gale Cengage Learning, Lerner Publishing Group and ARDO Publishing Group. Other negotiations are pending. Click here for the story in Library Journal. CIPA committed the 2011-2012 year to building a resource system based on three components: monthly meetings followed by a more casual and intimate Focus Forum, and then supported by online class content that can be accessed at a member’s discretion. Our first Focus Forum proved to be a great success with 18 in attendance, made up of CIPA members, nonmembers, and even a few interested parties who joined out of curiosity and stayed for the excellent content. 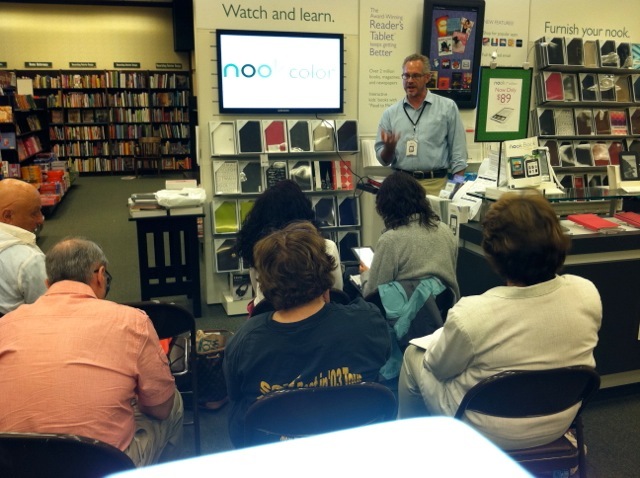 Barnes and Noble hosted our group and provided great information based on “The Customer Experience with eBooks.” Many of us were surprised with the information Martin Baker, Barnes and Noble’s Nook Manager, shared regarding Barnes and Noble’s partnership with independent authors. His guidance added to our resources and helped with book marketing and e-platform selection options. Mandi Pralle, Owner of Visual Persuasion, followed with a conversation about what it takes to get a manuscript from an MS Word document to an Adobe InDesign and ultimately to an ePub format that can be used when setting up an account within either Barnes and Noble or Apple requirements. While technical issues caused some difficulty with the presentations, the conversation was nonetheless lively and full of good ideas and experiences. A special thank you to Martin Baker and Mandi Pralle for donating their time and expertise to teaching our members. We are all looking forward to October’s meeting and the Focus Forums that will follow this year. CIPA Associate Member, Mandi Pralle, is offering a how-to class on learning to create eBooks using InDesign. This one night “InDesign to ePub class*” will be offered on Wednesday, September 21th from 5:30 – 9:30 p.m.
$195 *Use “LinkedIn Event” as your promotional code and save $25! Amanda Hocking sold 450,000 books in one month—99% of them were eBooks. John Locke, Joe Konrath, Vincent Zandri—the list is growing quickly of authors who have side-stepped the traditional avenue of publishing altogether. They’re digital publishers. They sell their books at ridiculously low prices through the Kindle store and other eBook outlets, and they’re making a killing. You could be the next big eBook success story! Ebooks are all the rage these days in publishing. Many authors see self-publishing through eBooks as a more viable method. They no longer have to predict demand and can bypass some of the traditional expensive services associated with publishing. Ebooks are also far more versatile than print publishing. You can include interactive video and audio, and eBooks are definitely a greener choice. At CIPA’s opening session for the 2011/2012 year, we’re going to tackle the question that’s on everyone’s mind—How do you become a successful digital publisher? Just how important are eBooks in today’s ever-changing world of publishing? Conversion: how is it done? What does your designer need? What are the no-nos? Formatting: basic set up, multi-media, links, copyright issues. Listing: where to list, how to list, the pros and cons of multiple distribution channels (like Smashwords and Ingram). Delivery: how do eBooks get delivered—from Amazon and from everywhere else? Marketing: just because you put it there doesn’t mean it will sell. What are ways to let potential readers know your eBook is available? Is that ridiculously low $.99 the best price? Alternative and non-traditional revenue paths for digital publishers. Library project and eBooks—the wave of the future, and why this is important for you. Brian Schwartz, CIPA Vice President is an EVVY award-winning author and creator of the 50 Interviews series, which published more than 20 titles in the last two years. He knows firsthand what works and what doesn’t. Gail Nelson of e-book-design, has been a freelance artist, illustrator, and graphic designer since 1984. Her experience includes illustrating over 25 books and designing over 300 covers/layouts. Gary Hall, Creative Director of Greystroke Creative is a seasoned graphic designer specializing in book design, eBook design and conversion, video book trailers, web video, and photographic illustration. Helena Mariposa, owner of Mariposa eBook Transformation has been a professional writer and proofreader for the past eight years. She won a first place award for her short story from a local literary magazine and another story won honorable mention in Writer’s Journal. Mandi Pralle is a designer and instructor with an MFA in graphic design. She is the owner of Visual Persuasion, an Adobe software training center in Denver. Don’t miss this information-packed digital publishing event! Saturday, September 17 from 8:30 a.m.—Noon at the brand-new Lone Tree Arts Center. See Map for directions. Register at http://www.cipacatalog.com. Cost is $15 dollars for CIPA members ($20.00 at the door), $30 for non-members. The Library eBook Partnership between the Colorado Independent Publishers Association (CIPA) and the Douglas County Libraries (DCL) in Colorado reached a milestone this week—the first round of ebooks have been checked out by library patrons and checks are going in the mail to independently published authors who sold their ebooks to the library! 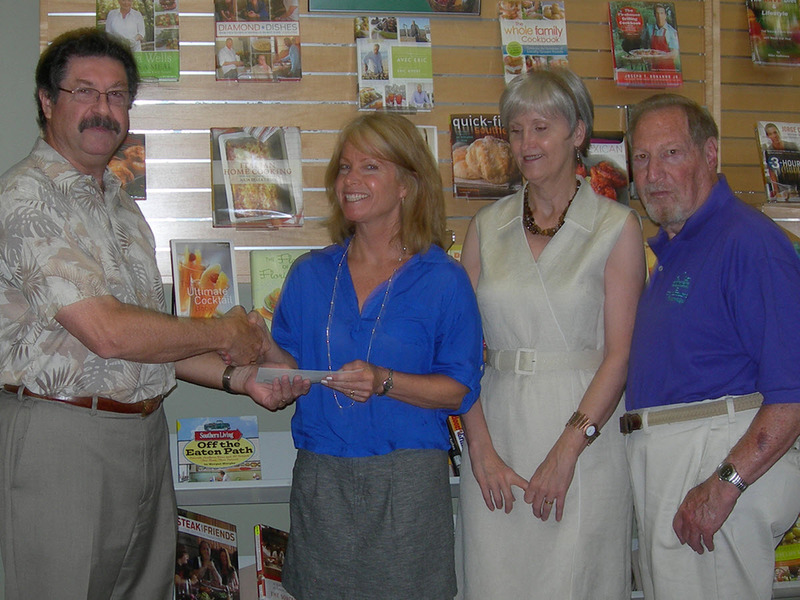 Dan Miller, CIPA’s president, presenting the first check for an author from the Library eBook Project to Elaine Pease, author of Ghost over Boulder Creek, as her publisher Doris Baker (Filter Press) and CIPA’s treasurer Herb Tabak look on. The CIPA EVVY winners are selected by panels of judges who are experts in their field. They include teachers, business leaders, literary critics, writers, book-lovers, editors, graphic designers, and many more. These impartial judges may not be a CIPA member and must also pass a rigorous qualification process. For the first two rounds of submissions in the indie ebook pilot program, only CIPA EVVY award-winning books by current members were accepted. The submission process for additional titles is now open to CIPA EVVY award-winning books by authors who are not CIPA members. Preliminary conversations also are being held with affiliated non-profit independent publishing organizations that have a history of annual book awards for quality titles. 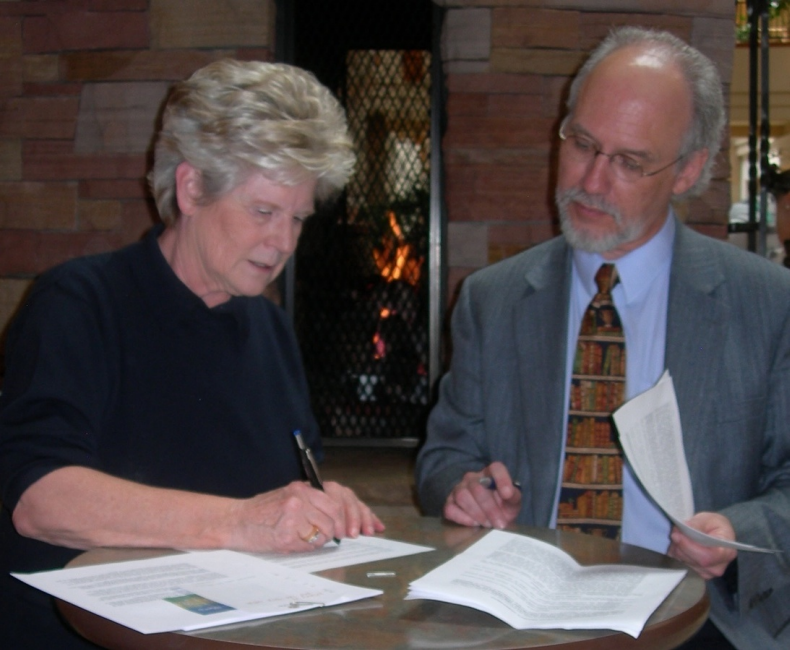 The Colorado Independent Publishers Association (CIPA) and the Douglas County Libraries have signed an historic agreement to help put high quality independently published books into the library district’s eBook loan program. This new partnership underscores the changing nature of book publishing and distribution with the ever-increasing popularity of eBooks.